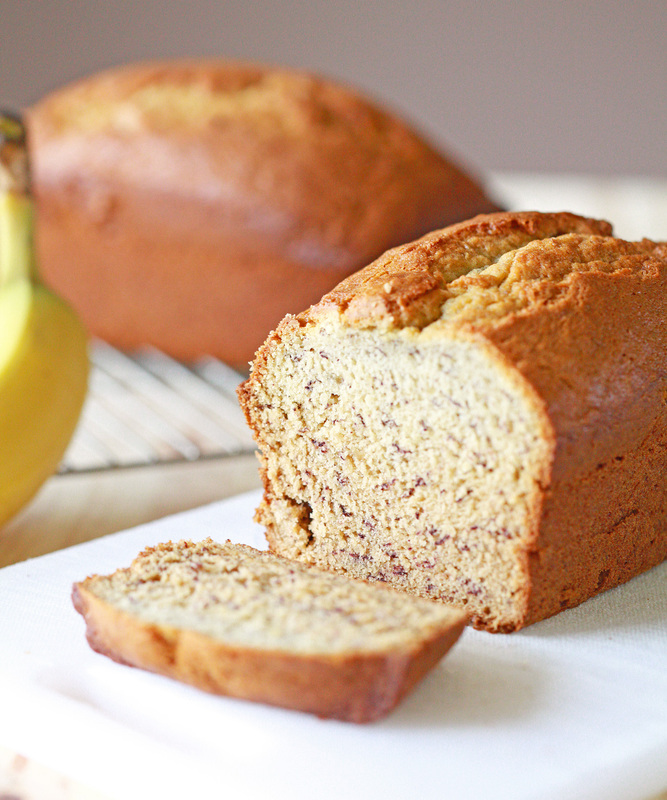 Today I am sharing my recipe for the best Banana Bread you will ever make and ultimately sink your teeth into. This recipe was passed down to me by my mother-in-law, who is a great cook. It is also a good basic recipe that you can add anything you desire to. I sometimes add chocolate chips (what else? ), dried fruit, or nuts. Use whatever your heart desires. A handful (about half a cup) should be more than enough. This recipe always reminds me of my husband’s sister, Rachel, who absolutely adores this bread. There’s no way I could be sharing this recipe today without mentioning her name. She is the one who first introduced me to it and prepares it for pretty much any get-together or trip we go on. It really is the perfect thing to bring to a party, potluck, new mom or neighbor. It usually doesn’t last very long, but in case you do have any leftovers, it will keep extremely well in your freezer for a couple of weeks. It’s hot, hot, hot outside! And I absolutely love it. We Midwesterners are used to drastic temperatures. I am pretty sure we can have an hour long conversation about the differing conditions. It is no secret that Minnesota is known for its massive amounts of snow and utterly cold temperatures in the winter and beyond. A little over three months ago we were hit with a massive snowstorm and thought that spring would never find its way. Back then I could only dream of temperatures that would allow me to step outside without snow pants, boots, and winter coat. 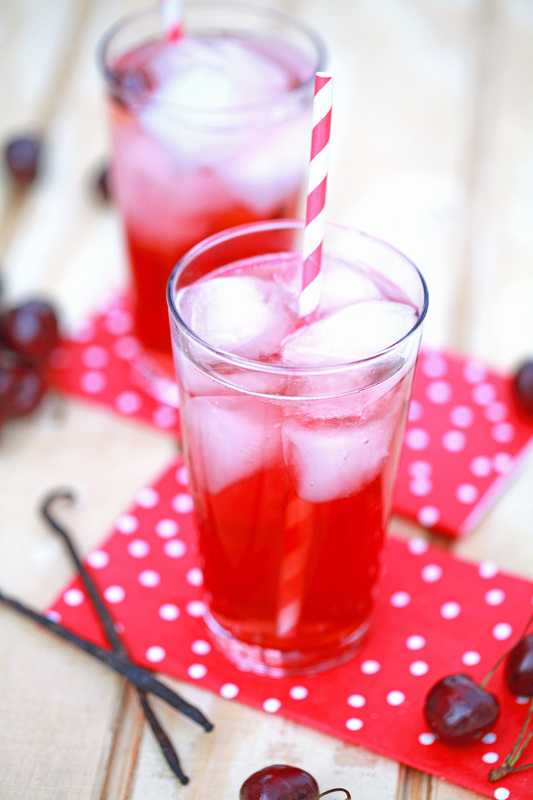 Because I love summertime (don’t get me wrong, I can appreciate all seasons… can’t wait for pumpkin-themed-everything to get here), I am planning on soaking up every ray of sunshine as long as I possibly can, I decided to make you a drink today! It is finally here. My first blog post. I can’t express what it feels like to finally start sharing and connecting with all of you. I truly hope that you will enjoy this little space of mine where I plan to share our lives, hope to inspire you, and simply share my love of cooking and baking. I hope you hop on for the ride and know that I couldn’t be more grateful to have you stop by to check out Deliciously Yum! I already like you. Seriously. Thank you! Onto these delicious cookies I mentioned above. It was difficult to decide on what I would feature as my very first recipe. When you totally and completely love food and if you are or know someone who can never make up their mind or changes their decision every 5 minutes, you can begin to understand what it felt like to finally come to a decision. Let me tell you how I landed at these fabulous cookies. Sweet treats and baked goods are my very favorite thing to create. I truly love to enjoy decadent desserts and I believe there’s absolutely nothing wrong with enjoying an occasional lip-smacking-stomping-your-feet-on-the-floor indulgence, i.e. not a health food. While you will certainly see truly good for you recipes, both savory and sweet, you will also encounter food purely based on taste and cravings. I’m striving for a good balance, and I believe this cookie recipe represents both sides. 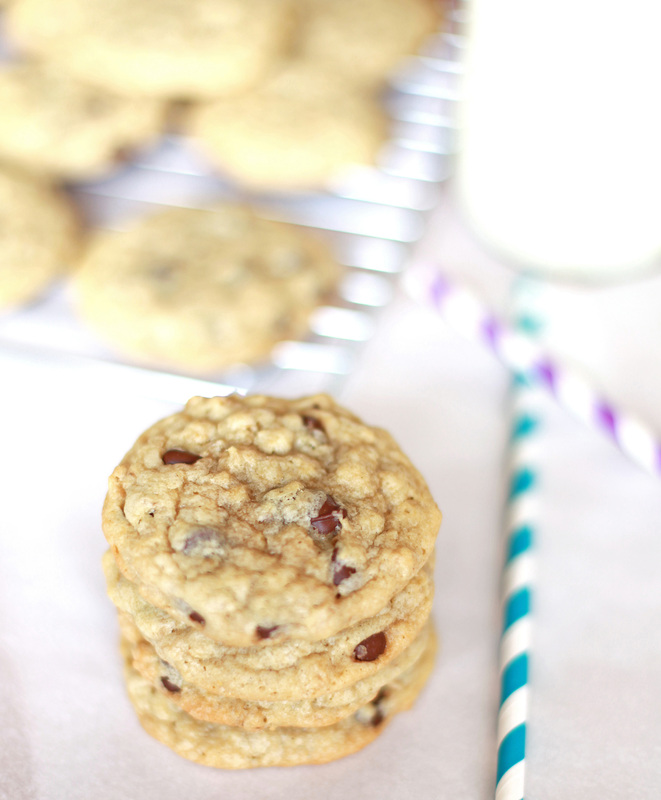 Yummy dark chocolate chips, quick-cooking oats, and all your cookie staples make for a chewy cookie.